Friday Bloody Friday by C.J. Foxx is a tale of murder, mystery, and games. It was a normal day when Noa Simmons picked up a mobile phone from the ground. A normal day that is about to turn into one of the strangest weeks of his life. A phone call entices Noa to play a game. Answer just one question at the end of the week and win a small fortune. Things start to turn really strange when the bodies begin to show up and Noa believes that he is communicating with the killer, a vicious serial killer dubbed the “Angel Maker”. Together with Kayla Coulthard, an SFPD detective, Noa continues the game all the while gathering in the clues. 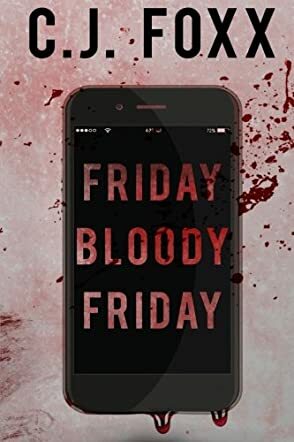 Can he answer the question or will he lose and the serial killer continue with his Friday Bloody Friday killing spree? Friday Bloody Friday by C.J. Foxx is a chilling tale of a murderous game and a ploy to catch a serial killer. This is a gripping novel that takes you on a rollercoaster ride of action and danger, with a touch of humor thrown in on occasion, just to lighten things up a little. There is no way of guessing where this book is going to lead you and every turn will bring surprise and terror, right up to the very end. The characters are excellent, very well developed in a writing style that is somewhat unique to this genre. The main protagonist is one we can identify with and relate to and the story is written in a way that dictates you have to keep reading, just to see if he makes it to the end of the game. It is fast-paced and thrilling, full of suspense, and I think any fan of the thriller/murder genres will love this.